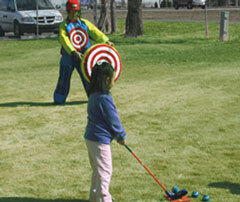 SNAG stands for 'Starting New At Golf' and is an integrated system which allows playing, teaching and learning golf fun! PGA Professional Wally Armstrong and Terry Anton invented the brilliant system that simplifies the learning curve for the game of golf. It incorporates developmentally appropriate equipment that allows golf to be learned and played in non-traditional venues with immediate, positive results. 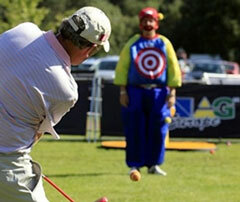 The game contains all the basic elements of golf but in a modified form. Unlike golf-based or golf-like activities such as miniature golf, SNAG is real golf in that it DOES NOT substantially alter the game's fundamental nature or reduce its appeal. 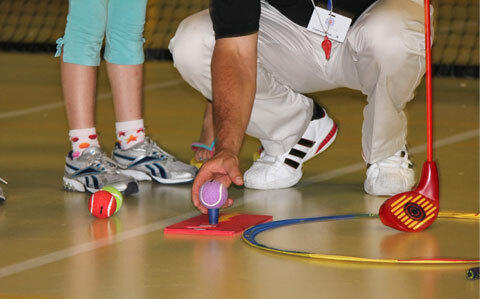 Instead, it makes the game of golf fun for kids and attractive as the system provides multiple workstations to keep the group active. 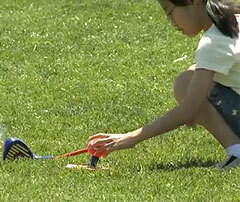 With SNAG you can hit full shots, pitch shots, use chipping and putting, just as you would with the real game. But because the SNAG ball has a limited distance in travel, the average player will only be able to hit it an estimated 50 yards. The clubs and the balls are especially designed and weighted to give the same feel as real golf clubs - just bigger and easier to learn with. The key is SNAG feels like real golf for beginners thus making the transition to on-course play easier. 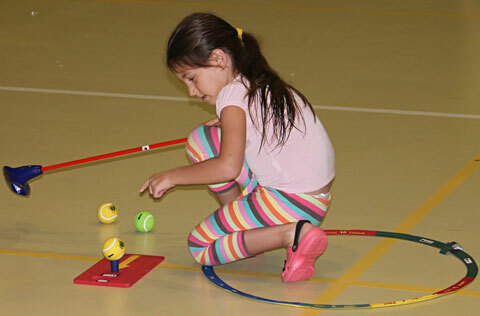 SNAG is portable and can be played anywhere - from the school gym to any open grass playground, the equipment can be easily set-up for a golf session. In fact, with SNAG "the world is your golf course!" 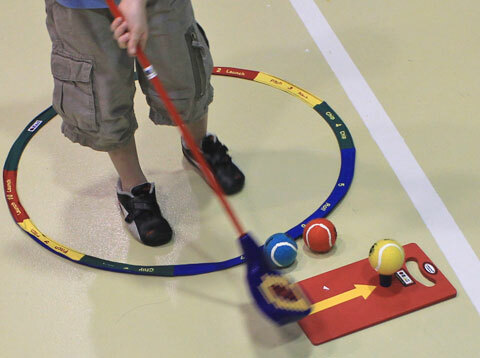 The Rollerama and Bullseye Target are both designed to help develop accurate shot-making skills. For group practices, SNAG offers the Sticky Jacket and Helmet where the target becomes human!